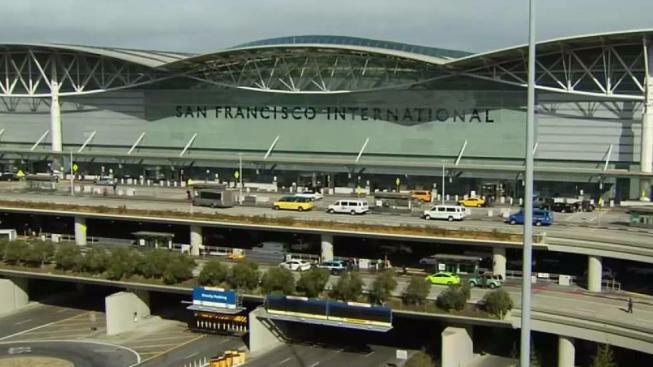 The renaming of San Francisco International Airport's Terminal 1 after former San Francisco Supervisor Harvey Milk, the state's first openly gay politician, has become official after Mayor Mark Farrell signed the legislation at a ceremony at City Hall on Monday morning. The Board of Supervisors earlier this month unanimously approved the legislation, which took nearly five years to come to fruition. "San Francisco has a very strong place in our nation's history of civil rights activism for standing up for what is right and Harvey was the epitome of those efforts," Farrell said. "By signing this legislation and renaming Terminal 1 at SFO as Harvey Milk, we are ensuring that his name will last forever and be synonymous with the city of San Francisco, the city that he loved so much and that we all love so much," Farrell said. "When you think about how long it took for us to get to this point, we are reminded that in many respects nothing was really easy for Harvey Milk. And quite frankly nothing has been necessarily easy for the LGBTQ community," said former Supervisor David Campos, who first started efforts to have the terminal renamed after Milk in 2013. "It's only fitting that in the midst of so much violence and hatred, that we in San Francisco are sending a very clear message of hope, which is what Harvey talked about," Campos said. "This is totally thrilling when you consider the journey of Milk and the movement," Former Assemblymember Tom Ammiano said. "San Francisco is a singular city; we have singular heroes. We don't name airports after John Wayne or Ronald Reagan; we name airports after someone who has made a considerable contribution to San Francisco," Ammiano said. Ammiano worked with Milk in 1978 to defeat the Briggs Initiative, a proposition that would have banned LGBTQ people from working in California public schools. Co-founder of the Harvey Milk Foundation and Milk's nephew, Stuart Milk, attended the ceremony, saying he and his family were appreciative of the renaming. "This is a very important message to the world," Stuart Milk said. "For the people around the world who have the opportunity to fly into the great airport that SFO is and to transit though the Harvey Milk Terminal, I think it really does send that message that this community honors those who have not only led but who payed the ultimate sacrifice," he said. Milk was first elected to the board in 1977 after having become a gay rights activist and also championing the rights of farm workers, low-income tenants, laborers and homeless youth. Milk was assassinated, along with then-Mayor George Moscone, when former Supervisor Dan White gunned them down inside City Hall in 1978. Efforts to name the terminal after Milk began in 2013, with Campos first trying unsuccessfully. Campos, however, reached a compromise agreement to form a committee to recommend which of SFO's terminals or other facilities should be renamed. In 2017, following a vote by the Airport Facilities Naming Advisory Committee in support of the renaming, Supervisor Hillary Ronen introduced new legislation to begin the process of renaming the terminal. SFO's Terminal 1 is currently being redeveloped and will be completed by 2022.
public transit and the Central Parking Garage. Additionally, the terminal will have a large central concourse with an art gallery and restaurants, according to airport officials.